How do you like your steak prepared? Medium rare with salt and pepper, char broiled with a red wine reduction, not at all because you’re a vegetarian? There are so many ways to prepare steak, you can never please everyone. Likewise, the car event calendar is peppered with many different and enticing offerings that we look forward to every year. Pebble Beach, Greenwich, Concours d’Elegance of America; all of these events are fantastic, but none satiates every car person’s automotive tastes quite like Amelia Island. 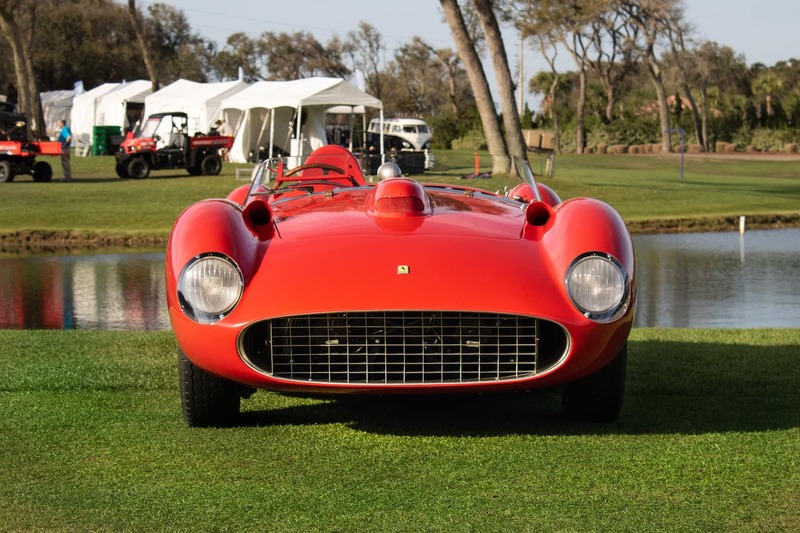 Hosted annually in northern Florida, this event offers world class cars and a relaxed atmosphere that no other concours can even come close to replicating. I have attended the last three years consecutively, and it’s the only car weekend I vow never to miss. The experiences I have had there are unrivaled, and I want to share with each of you how I maximize my experience at Amelia Island. The event weekend really begins on Wednesday and Thursday with auction previews at Bonhams and Russo and Steele. These are open to the public early on in the week, but as the week progresses, there is usually an entry fee of around $30 to get in. Be sure to visit the auction online first to see if any featured cars warrant paying to see. More importantly, you can browse the selection to see if there is anything that belongs in your garage. 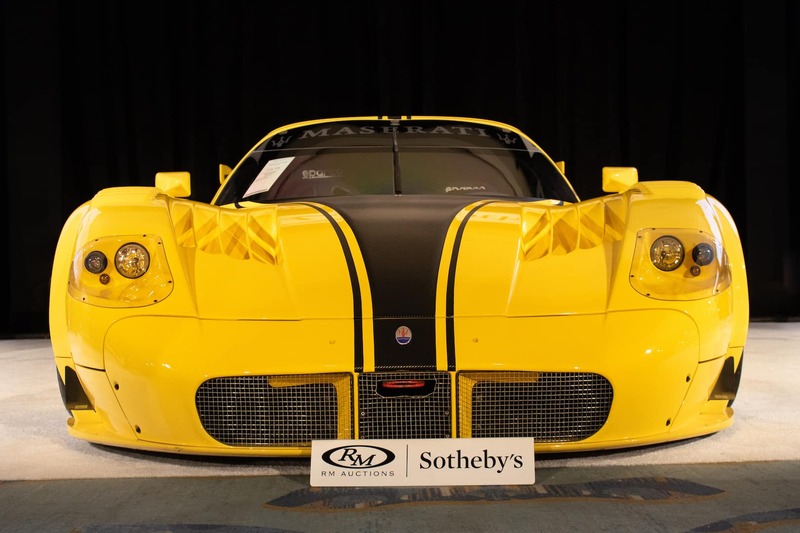 The two largest auctions of the weekend are at RM Sotheby’s and Gooding & Company. Both offer beautiful spreads, RM being located at the Ritz Carlton and GC being located at the Omni Hotel and Resort. There is lot of walking between the two, so riding the trolley operated on behalf of Gooding and Company is highly recommended. RM’s viewing is free and open to the public all weekend, Gooding and Company requires payment to get in. However, in my experience, it is well worth paying for as Gooding offers an extremely diverse selection of cars. To review our recap of the auctions themselves, be sure to read our article breaking down the results; you can also see the full results on both RM Sotheby’s and Gooding & Company’s websites. While you’re at both the Ritz and the Omni, be sure to swing by each of the parking garages. This probably sounds strange, but this is where all of the cool cars for the weekend are housed prior to the main event on Sunday. The first day is largely spent indoors, however you should bring your sunscreen, especially if you’re from up north and haven’t seen the sun in a while. There are also cars that simply brought up for the owner’s enjoyment, like this CLK GTR and McLaren F1 HDK I saw casually valeted. Yeah, THAT’S the kind of lunacy you can expect at Amelia Island, and this is only just the beginning. Friday grows in intensity as auction goers congregate in droves to attend Gooding’s Auction starting at 10AM on Friday. If experiencing the thrill of a car selling is your thing, then it is worth sticking around for the auction itself. 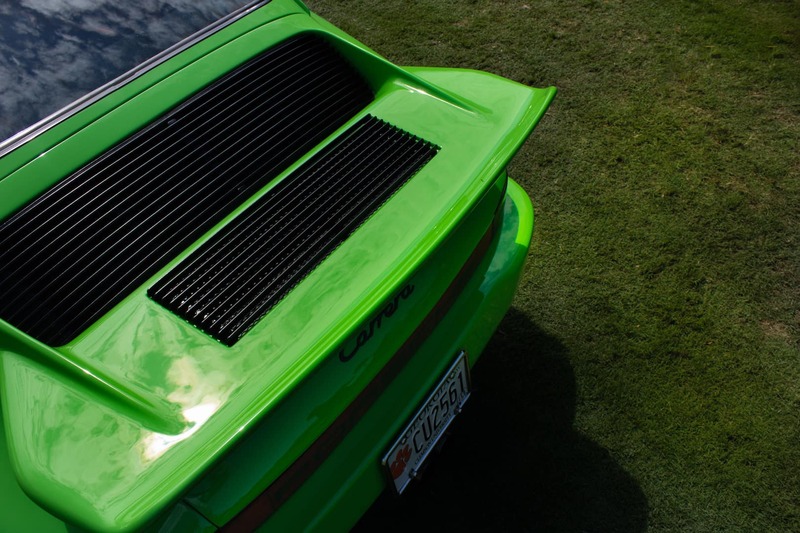 If you’re ready to dip your toes into the car show portion of the weekend, then you should begin with the Werks Reunion. 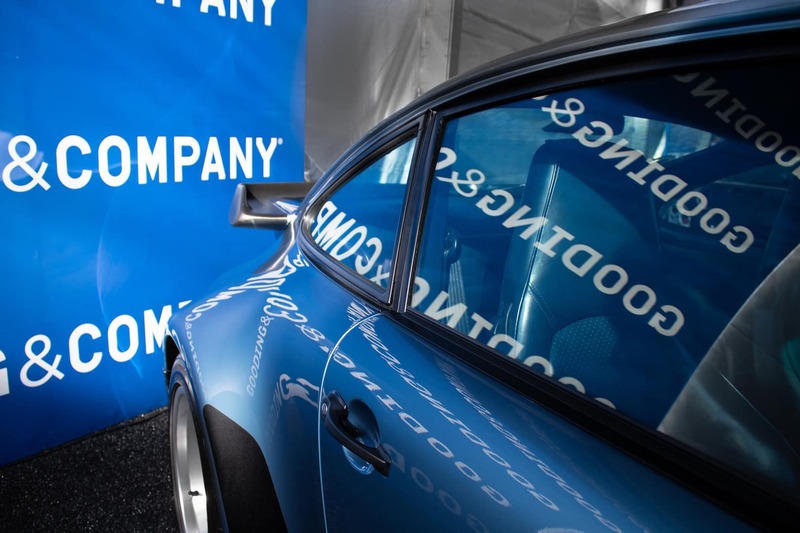 The Werks Reunion focuses specifically on Porsche. Seriously, there are a sea of the things all across the fairway at the Omni. Air-cooled 911s, Keen Project Builds, Carrera GTs, Cayennes, every model and variation of Porsche is represented at the Werks Reunion. Frankly, the experience of seeing so many Porsches is overwhelming, so I recommend working from the far end of the field closest to the Omni slowly towards the main tents at the other end. Various venders, including Porsche themselves, are present also, so this is a great opportunity to see unique creations from Porsche Classic as well as new models like the 992 Porsche 911 Carrera 4S. After the morning is spent looking at Porsches, you should first reapply that sunscreen as your day in the sun has just begun! It’s then a good idea to head back to the Ritz and see what new layout RM has gone with as they clear out their inside staging area in preparation for the auction. Other cars that may have arrived late to the island will now also be on display, so it is worth visiting for a second time. 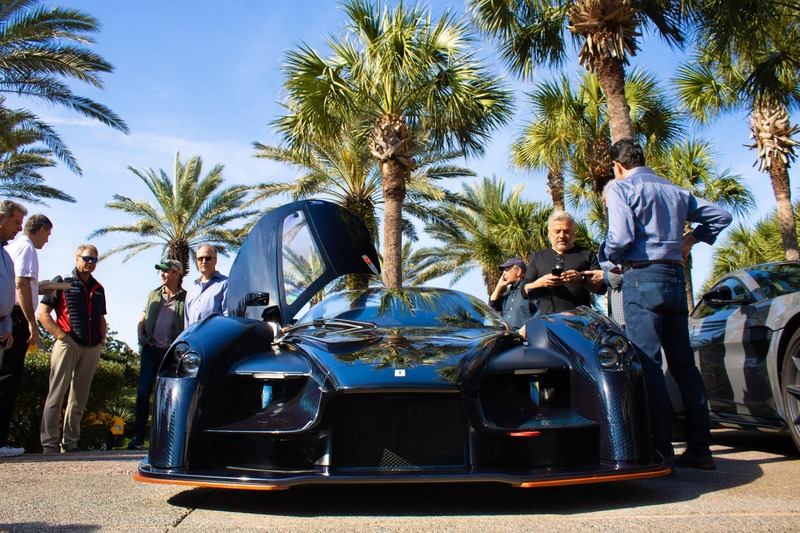 Setup will still be in a state of incompletion on the main show field, but some vendors will have their cars there, such as Gunther Werks with their all carbon fiber Porsche 993 Turbo or Scuderia Cameron Glickenhaus with their ridiculous SCG003. You have a chance to get up close with the manufacturers and the cars prior to the reps losing their voices and energy in the days that follow. Moreover, no press badges are required yet, so if you are polite, you can be out there getting a sneak peek. This is when things get really busy! Saturday is packed from beginning until end with cars being sold at RM and cars being prepared for the show and of course, Cars and Coffee! Saturday is the largest participation day for the general public. If you submit your car in advance, there is a good chance you will be chosen to display it for the Cars and Coffee. The 450+ cars that attend the C&C on Saturday are generally more accessible and enthusiast focused exhibits as opposed to the ultra high-end cars that will dominate the show field on Sunday. There is no cost associated for spectators and the overall vibe is very relaxed. The only negative to displaying your car, should you be selected to do so, is that you are required to have it on the show field until the mid-afternoon, which means another trip to RM seems inevitable, along with more than one application of that sunscreen! Visiting RM for the final time, you are able to attend the auction if you pay for a spectator pass or are a registered bidder. A cool place to be is in the staging area located on top of the parking garage. Here, cars are fettled one final time before driving onto the display turntable where they will be presented by the RM team to find new homes. You are able to see nearly all of the cars run and it is usually pretty vacant, so it is a good chance to grab some photos and hear them run. While you are near RM, you should pay a visit to the memorabilia and literature exhibits which offer a myriad of collectibles for all budgets. From books to hood ornaments, there are lots of fun souvenirs to pour over and it is a great way to get a break from the strong Florida sunshine. If you have purchased your tickets in advance, you can pick them up any time at will call located in the lobby of the Ritz near the RM ballroom. Otherwise, you will have to wait in line at the will call booth located on the fairway that houses Cars and Coffee. Showtime! This is by far the most crowded day, so getting to Amelia Island early if you are staying off of the island is very important. Paid parking is available, but usually, it is best to part alongside the road as close to the Ritz as possible. Parking seems to be most easily attainable off of A1A and it puts you relatively close to the Ritz, but spots fill up very quickly. Shuttles are available wherever you park, and the police are very helpful at stopping traffic at crossings. Attire is on the more formal side of things, so dressing nicely is highly encouraged by attendees, despite the heat and the sun (yes, apply that sunscreen again). The show itself opens to the public at 9:30AM and continues until 4:00PM. This is a judged concours, so there is an award ceremony at the end honoring the best of the best. It is generally very crowded, so getting photographs on this particular day is a challenge and patience is required to avoid having people in your photograph. For first-time attendees, also be aware of where you are standing as you might be hampering some else’s shot. Concerning lunch, a prepaid lunch is available, but if you don’t feel like doing that, there is a grocery store located not too far from the event where you can pick up sandwiches as well as a couple of restaurants. Be aware that long waits are likely as the island is full of people. Also note that cell reception is generally spotty as the cell towers are over stressed with the sudden influx of people, although this year I noticed improvements on the AT&T network. Ultimately, the show is an incredible example of truly world class cars. 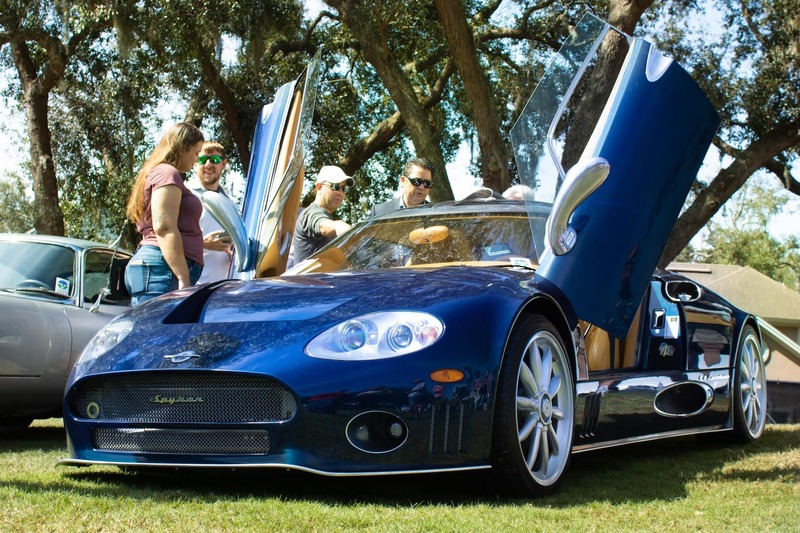 The variety is intense and the Concours is very particular about making sure they have a diverse array of cars every year that don’t simply feature the same ones over and over again. The show field is always fresh, and it takes a lot of time to soak everything in. I recommend making three rounds of the entire golf course to see everything at different vantage points; some displays are more crowded than others. 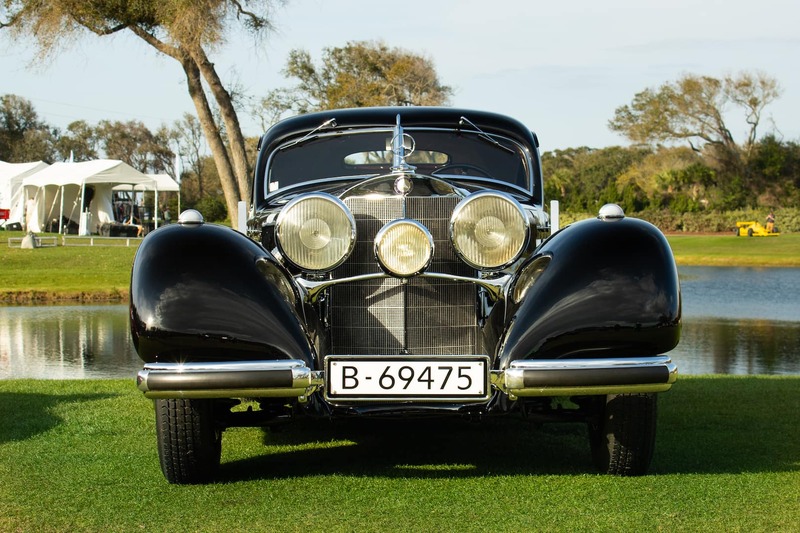 This year there were two exceptional cars that were awarded the coveted “Best in Show” award: the 1957 Ferrari 335S and the almighty 1938 Mercedes 540K Autobahnkurier. Personally, the Mercedes has been a coveted car of mine for ages, and finally being able to see it in person was a total thrill for me. The old cliché adage of “you never know what you will see” certainly applies in the case of Amelia Island. After the awards ceremony, I recommend making your way toward the top of the hill located toward the Ritz, closest to where the cars exit. You have the opportunity to hear the vast majority of cars run, and when some of those cars are vintage F1 cars, it is a worthwhile experience. As you can tell, there is a lot to do during the Amelia Island weekend. It is absolutely exhausting, but the whirlwind experience is what makes it so great. 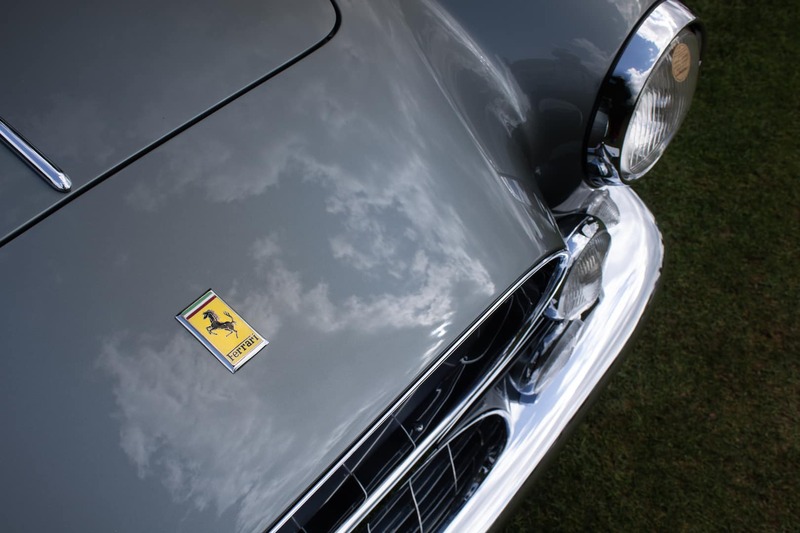 The people you see, the cars they bring, and the energy behind what is the first major concours of the year is what makes the weekend special. 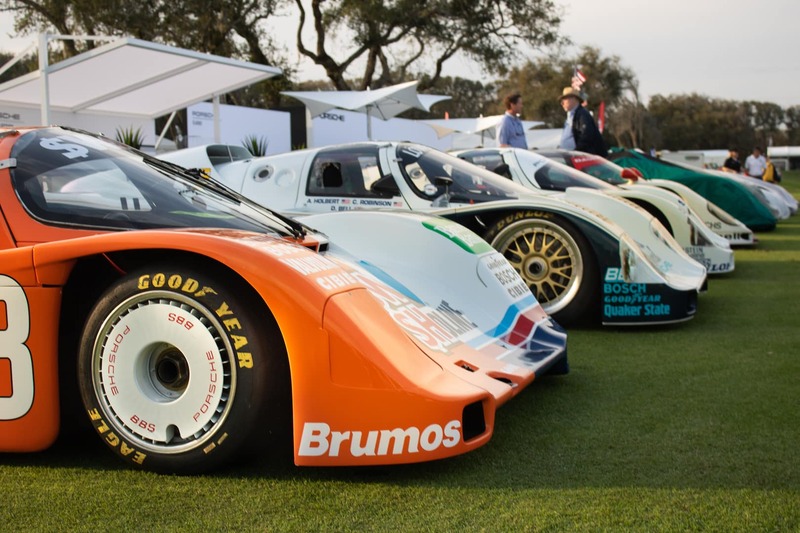 Compared to other concours, I have never had the level of access and enjoyment as I do at Amelia Island. The dates are already selected for next year (March 12th-15th), and you can guarantee that I will be in attendance, sunscreen and all. To get an even better idea about what Amelia Island is like, watch through my video series on our YouTube channel about Amelia 2019. Also be sure to visit their website to learn more about next year’s event. I hope to see you there next spring.